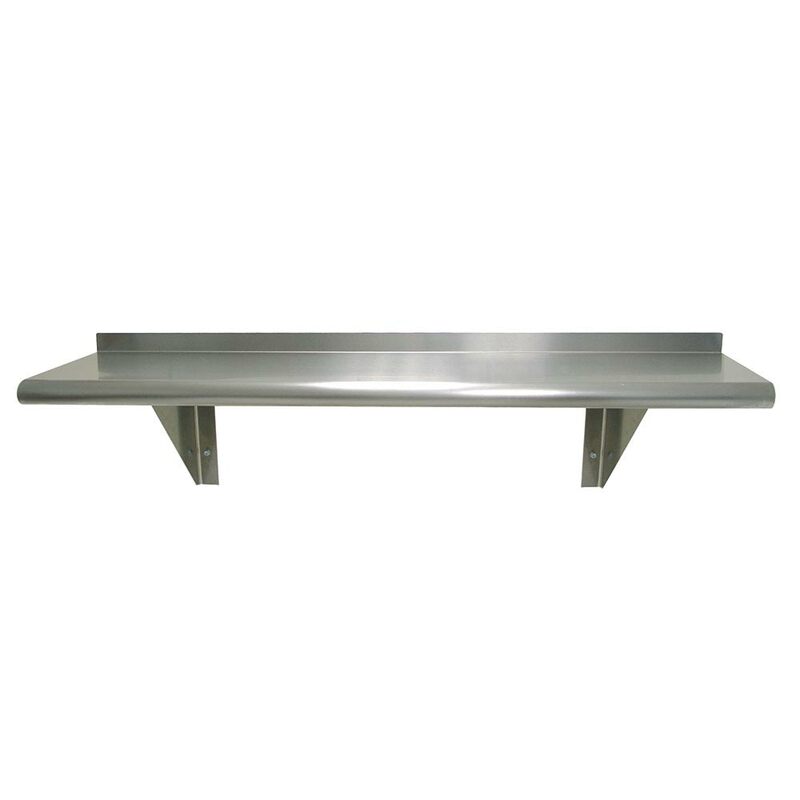 The Advance Tabco WS-12-96 wall-mounted shelf resists corrosion, dents, and scratches with its stainless steel construction. The material has been polished, adding a satin finish for increased durability. This unit secures to the wall with bolts through three support brackets that can be positioned to accommodate wall studs. For flush installation against walls, the ends of the Advance Tabco WS-12-96 wall-mounted shelf are square and turned down. The front has a bullnose design that keeps staff from injuring themselves. 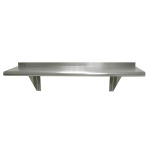 John Boos EWS8-1296 Wall Shelf w/ 1.5" Rear High Riser, 96 x 12"